Physical Topology is depicted below. PE2 and PE3 configs are not shown for brevity. Refer to GitHub link below for complete configuration. 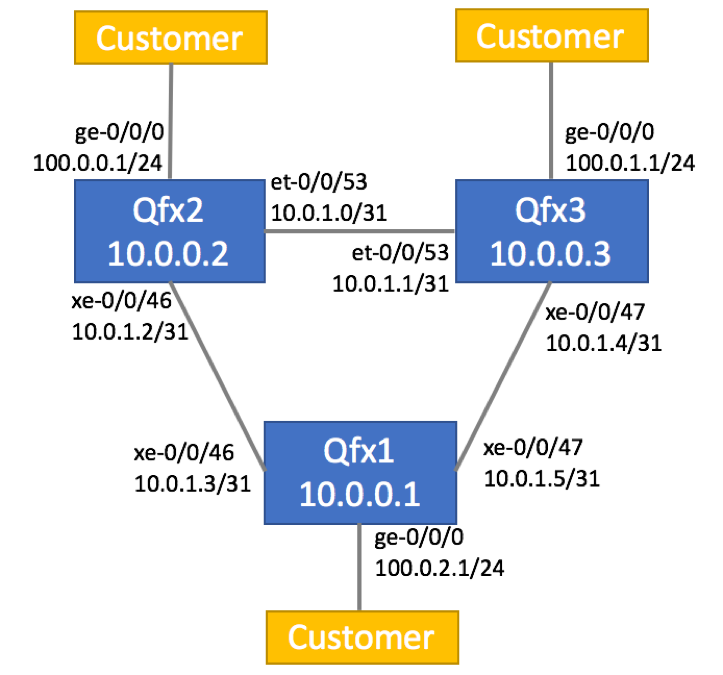 Basic MPLS-VPN configuration was applied to all QFX devices. Routes within the VRF are propagated via Multi-Protocol BGP with the next-hop pointing to loopbacks. As shown above, those loopbacks are resolved in inet.3 table via SR.